Dr. Evangel is a Chiropractic Physician, and one of the founders of FIR Industries, Inc., an innovative company that has developed a patent pending process of infusing therapeutic minerals into fabrics, with unprecedented health and wellness benefits. 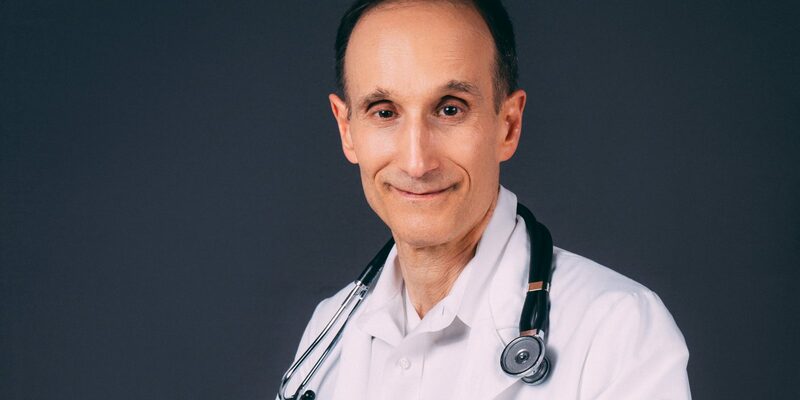 When it comes to health-related issues, Dr. Mike not only investigates, but he also writes and shares digital content on wellness, fitness, longevity, nutrition, and the environment. Fitness and wellness are serious for Dr. Mike. He is a 7th Degree Black Belt in Taekwondo, a 3rd Degree Black Belt in Jiu Jitsu, and a winner of an AAU National Karate Championship, and was also on the USA Karate Team from 1979 – 1980. His 7th Degree Black Belt, led him to an internationally recognized role, as the team Chiropractor for the South Korean National Taekwondo Team at the 1986 Asian Games. For 30 years, The FBI, US Marshals, US Secret Service and federal law enforcement agencies, trusted Dr. Evangel to provide defense tactics, and strategic instruction on non-lethal controlling, subduing techniques, weapons disarms and verbal communication skills to quell situations without physical force. In 1987 Dr. Evangel received the ICA’s Excellence in International Relations Award. The Taekwondo and Jiu Jitsu Black Belt Chiropractic Physician has appeared on Fox TV’s Good Day NY, NJ News 12, the BBC, KNBC in Los Angeles and ABC Wide World of Sports–opening for Monday Night Football. Neal Howard: Hello and welcome to the program. I’m your host Neal Howard here on Health Professional Radio for this Health Supplier Segment, glad that you could join us. In this Health Supplier Segment, our guest is here with us from FIR Industries, he’s the founder Dr. Mike Evangel. He’s a chiropractic physician and he’s joining us to talk about the unique healing and restorative power of tourmaline and the company’s products that are infused with this element. Welcome to the program Doctor. Dr. Michael Evangel: Thank you, good to be here. Neal: Now you’re the founder of FIR Industries, talk about this company. Dr Evangel: Right. It stands our far-infrared and really the first company in the world to be able to take therapeutic minerals and infuse them into fabrics as well as textiles and bond them without washing out … processes and … particles which are the smallest that can be produced today. You have a meter a thousandth of that is a millimeter a thousand, that is a micron than a thousandth of that is a nanometer so they’re really small and the more surface area you have, the more energy is related to the product so we’re taking the smallest particles to get the most bang for our bucks so to speak. And what we’re doing is we’re getting three different energies being given off by the tourmaline. The first is far infrared is what company our named it after and it takes by heat and converts it to far-infrared and far infrared has been used for thousands of years in saunas and it’s really very helpful to accelerate the mitochondria which are in every cell of our body that produce energy to produce more energy. And cells basically have three priorities – one to stay alive, second to do their job, the third to heal if they had enough energy left offer but this gives the cells a lot of times more energy left over to actually heal, so that’s the first energy. The second energy is mechanical energy being converted into negative ions and it’s called a piezoelectric effect and that’s when you have a microphone for example, a quartz crystal in there and you can have a conversion of mechanical energy into an electrical impulse. It goes both ways back from us. What we have is the mechanical energy of pushing, pulling, rubbing, striking a type of motion energy onto the tourmaline which are … radicals make the body more alkaline and act as a natural antioxidant and all those are very good and that’s all related to anti-aging and all those energies. Then the third energy is called the Schumann resonance. It’s a really a more mysterious energy, it’s the same energy that the earth gives off as it interacts with the ionosphere in every … particle is in North and South Pole and gives off this energy field and I think it’s the most powerful of the three fields and it’s my theory that people get Space sick, not so much as the lack of gravity but the lack of the Schumann resonance. So that Neal pretty much sums it up. You get all three of those energies and everyone by themselves are therapeutic but we put that all together to act synergistically with each other. Neal: Now you say this mineral tourmaline has been used for thousands of years. Why haven’t we been using this before now? Dr Evangel: It’s kind of like all these ancient healing arts and healing skills and theories are being reinvented today. And even by taking honey and putting the honey on a burn or wound to stop an infection, that was done many years ago and people are rediscovering that now but there’s a lot of old ways that are coming back and some things have actually been lost and they’re being discovered again but tourmaline has been used pretty much consistently over the last few thousand years all over the world. However with Western, this is all more recently and with new it’s used over in the Far East for a milenia and in India where they really got his name from, it’s from India. Neal: Well it seems that the energies that you’re speaking of, they help you to live, longevity and enhance your performance. Well what about people who are dealing with sleep deprivation? I mean aren’t these energies for lack of a better term, ‘uppers?’ If you’re using a fabric infused with this mineral and you’ve already have a sleep problem, are you going to be able to go to sleep or is it going to further exacerbate the problem that you have? Dr Evangel: That’s a great question… so with a lot of things as a Goldilocks zone and we sleep, if you’re sleeping too much or too little, it might not be a good thing but the tourmaline idly helps to regain balance because it works with those mitochondria like I said it helps … What’s amazing is that with blood tests, we found … when they have subsequent blood tests all of the blood starts to get more normal, they normalize or they get even better towards that center of the bell-shaped curve so it really helps the body to reach balance. Neal: What about the fabrics that are used? I mean in my mind I’m thinking “Okay, athletic uniforms of different varieties.” You got your football, your basketball, your hockey and your tennis. What about swimmers, where you wear almost nothing? What are the best fabrics that make themselves more readily to being … tourmaline? Dr Evangel: That’s another good question. The thicker the fabric, the more mineral it will hold because when you have something thin like a stocking for example as opposed to the thick wool sock, as the thicker the material, the more it’ll hold. And also certain materials hold better than others. Cotton seems to be the best material that holds the tourmaline better than anything else than the synthetic fabrics. The natural seem to hold it better. Neal: Do you feel that as far as these the sports industry, are they aware of some of the healing properties and some of the enhancement properties of these fabrics? Dr Evangel: Yes, very much so. We’ve had quite a few athletes, world-class athletes and household names using our products and we just got one delivered to one of the biggest stars in the NFL. I can’t reveal his name right now but he’s using our products right now and the New York Rangers have been using, our hockey team’s have been using … coach, he’s a big fan of our products so we’ve been really pretty much right out of the gate though we’re only 2 years old so it takes a little time to take off the training wheels but we’re well on our way to being well known not only for athlete recovery but also improving athletic performance in a natural way that doesn’t show up on a drug test because nothing enters the body. No chemical enters the body, only energy so it’s 100 percent legal in every sport. Neal: Now you yourself in wrapping up, please talk about you being a martial arts champion. Are you experiencing the benefits of this mineral as are your clients? Dr Evangel: Yes. I do a lot of martial arts. I was on the ice States karate team 1979-1980, I should give me a Medicare in February … but I’m better shape than most people half my age and … now and I was shocked that my blood work was much better last year than it was the year before which was … the year before that so every year I’m getting better and better and as a matter of fact this was my best blood work in 20 years because I track it every year and the only real difference was I’ve been using these products for the last several years. Neal: Where can we go online and get some more information and get some Tourmaline if we would like to? Dr Evangel: Well tourmahealth.com is our website and we also have a process that nobody else offers where we can actually take a post production product like for example a clothing and infuse it with our Tourmaline … and turn into a therapeutic tool and we’re looking forward to coming up with products and helping people because really our mission statement is to health, help the health of humanity and their beloved pets too, one person and one animal at a time. Neal: Well thank you very much Ashley fascinating information this morning, I appreciate you joining us on the program Doctor. Dr Evangel: Thank you Neal, thanks for having me.